Sayyid Abbas bin Alawi Al.Maliki returns to his lord. 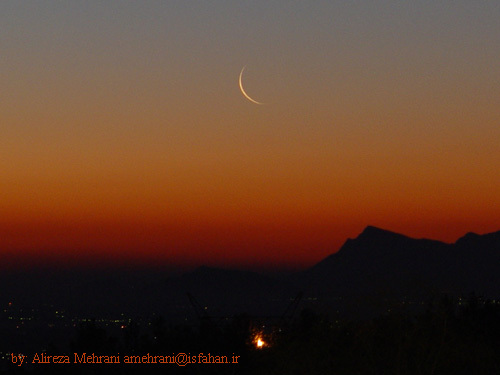 The new hilal of shawwal will not be visible on 17th or 18th of August in saudi…..
Taraweeh – 8 or 20 rakats..?? Alhamdulillah! Ramadhan Mubarak is only a couple of days away. I have been eagerly awaiting this month for a while now. I apologise in advance for stealing the title of this post from another blog, well let’s just say i borrowed it. Alhamdulillah! last night there was a live debate on the topic hosted by Islam Channel. I do not know if this has happened before on Tv but this is the first i’ve heard of it being debated in this way on TV. Mashallah, atleast the first step has been taken. Inshallah, if we can unite on this may be in years to come EID can be a national holiday for us here in the UK. I remember once when clinton was president of USA he was thinking about making EID a national holiday there but becoz of this divide the idea was scrapped. This entry was posted on Tuesday 11th September, 2007 at 07:52	and is filed under aqida, awliya allah, bangla, bangladesh, bengali, deoband, deobandi, eid, events, fiqh, general, hadith, hajj, islam, madina, masjid, mawlid, moonsighting, mosque, news, poetry & praises, polemics, ramadhan, religion, scholars, shaban, sufi, sufism, sylhet, sylheti, tabligh, tablighi, Tasawwuf, the prophet, umrah, wahabi. You can follow any responses to this entry through the RSS 2.0 feed. You can leave a response, or trackback from your own site.